MSV: What did Mayor Zimmer know and when did she know it? What did Mayor Zimmer know and when did she know it? The calamity in the aftermath of Hurricane Irma is not quite over as it topped off the northern coast of Cuba and scaled back to a Category 3 hurricane before heading up off the western coast of Florida yesterday. The Sunshine state suffered its worst hurricane after well over a decade of a hurricane drought. In the Mile Square City, a political hurricane is churning. Hoboken never suffers long from a political hurricane drought. 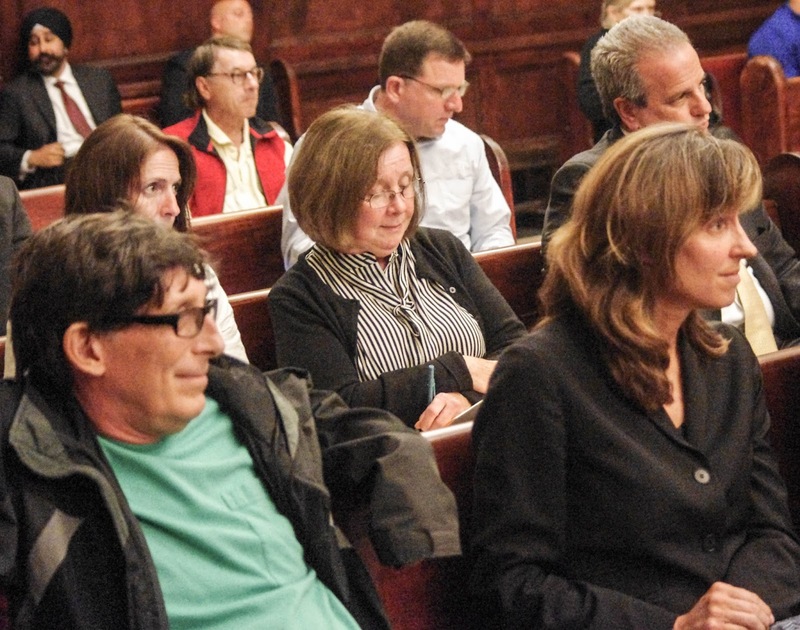 The aftermath of Hoboken's City Council meeting Wednesday is a growing contagion of finger pointing, political, spin, accusations and counteraccusations. Mayor Zimmer's proposed Suez contract as MSV predicted earlier was DOA. It went Category 5 in the comments section Friday on MSV; a rear guard action to defend her unstated position. The lack of transparency on a $8.35 million liability since 2014 alienated Mayor Zimmer's council allies who she apparently kept in the dark. Questions about accounting, municipal finance regulations and transparency to the public abound. The proposed Suez contract would improve the terrible earlier version but the question how the $8.35 million liability kicked in about 2014 and grew like a runaway train left the entire City Council cold to Mayor Zimmer last Wednesday night. She didn't leave the microphone before lambasting five of the eight members on the dais individually by name. Bizarrely, the first rebuke to her political attack came from long time nemesis Councilman Mike Russo. He said she had turned on her council allies who previously laid down for her in the street. Mayor Zimmer offered a Mona Lisa smile in response after driving a tank over them minutes earlier. members on the dais by name. The Suez contract didn't see a contract extension approval last week with alteration to its terrible birth in a Hoboken of the past under Mayor Anthony Russo back in the 90s. The amendments that followed locked the Mile Square City into extensions equally bad if not worse. A mountain of red ink began climbing sometime in 2014 when heavy usage fees took effect and no one knows exactly when City Hall discovered the problem. Was it at the $2 million mark, $4 million or $6 million before soaring to $8.35 million? The only people who knew about the ticking time bomb were people in the mayor's administration. At the meeting Wednesday night they didn't agree when they knew. The City's auditor took the microphone and stated knowledge came to him only the previous day. A consultant gave his account saying two months. The business administrator admitted knowledge of a year. Which all begs the question when did Mayor Zimmer know? How did she account for the $8.35 million liability to Suez or was it accounted for at all? Were her solitary decisions aligned with municipal finance law? Suez, being the kindest of vendors to the City of Hoboken, out of the goodness of their hearts allowed the City to negotiate, slowly out of the terrible deal as it grew the million dollar liability. Think of Suez like a predatory mortgage lender who is doing the refinancing deal on your house. What you get is more of the predatory lender decades out as far as the eye can see. Talking Ed Note: While some questions are unanswerable with Mayor Zimmer hunkered down and a rear guard action seeing over 100 comments with the MSV story here Friday, when will the big question be answered? What did Mayor Zimmer know about the growing million dollar liability and when did she know it? Other basic questions bandied about in recent days: what accounting rules were applied to tabulate the millions year-to-year? Or what was the excuse in not doing so? Incompetence, negligence, "I never got a bill? With the mayor focused on her baton toss to Councilman Ravi Bhalla since a June presser that riled up many of her supporters in the Reform Movement for lack of any transparency; some already wonder what did Councilman Bhalla know about the Suez liability? The two term councilman did a one-eighty, agreeing to Councilman Mike DeFusco's request to recuse himself on the Suez matter at the council meeting last week. Last month, Councilman Bhalla denied there was a conflict with him as a law partner at Florio Perrucci which counts Suez as a client. At the City Council meeting last week, he casts his recusal as voluntary. Many legal beagles however scoff at the notion there was any choice in the recusal and suggest Councilman Bhalla is similarly conflicted on any participation regarding NJ Transit. Mayor Zimmer did not embrace or apparently inform any of her council allies on the Suez liability but did she fill in Councilman Ravi Bhalla so he could make a "voluntary" recusal in the nick of time and avoid having to address the controversy? Below are the decades old Suez contract documents. Some commenters suggested MSV did not have them, did not "ask" for them and could or would not publish. With their publication, expect a massive finger pointing operation to commence. None of it however addresses what transpired and why from 2014 when the hefty Suez charges began a million dollar climb. Expect to hear lots about the terrible contract from the 90s, what we already knew without reading any of the Suez documents.